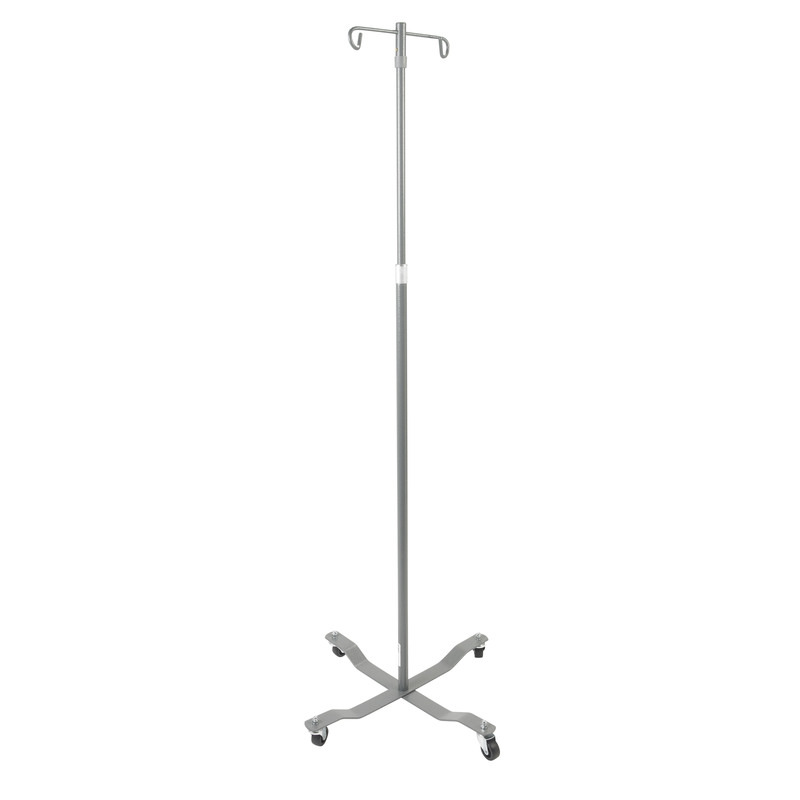 Removable hooks on this economy 2 or 4 hook IV pole (in chrome or silver vein) by Drive Medical speak to its versatility. With easy push-pin release it converts between a 2-hook and 4-hook top. (Product is available in 2-hook and 4-hook form.) Chrome-plated steel with weighted base provides strength and durability while most importantly reducing the risk of tipping. A locking collar allows for simple height adjustment to the stem and four rubber wheels ensure smooth transportation and maneuverability.